Medicinal plants grown in your own gardens can reduce your dependence on drugs, if not completely eliminate them. But growing random herbs with medicinal properties doesn’t help. It is a common myth that all herbal preparations are safe by virtue of being natural. This is far from true. A typical example is foxglove or Digitalis purpurea. It has a positive effect on heart function, with the cardiac drug digitalin extracted from the plant. However, ingesting any part of the plant can induce nausea and vomiting, and can even lead to total collapse from digitalis intoxication and death. Accessibility is another issue, as in the case of rosy periwinkle Catharanthus roseus/Vinca rosea from which anticancer drugs vinblastine and vincristine are obtained. You don’t benefit from growing this plant unless you are an experienced herbalist who can put it to good use. Otherwise, it will just remain a display specimen in your garden. You need to grow plants whose goodness you can access through simple preparations such as teas and infusions, poultices and powders. Some medicinal plants are to be used for treating specific ailments, while others have a generalized positive effect on our health when used regularly. Many herbs belonging to the latter group have found their way into our culinary scene as flavoring agents. Your medicinal garden should ideally have such plants that have practical uses for the common man besides being easy to grow. Aloe vera is well known as a skin-friendly plant. It is one medicinal plant people really make use of, since it is generally safe and requires no processing before use. It is a must-have in every garden whether you grow it in pots or in the ground. Aloe vera plants grow well in a sunny location in warmer areas where there is not much danger of killer frosts. Being a succulent, this drought resistant plant requires very little care and thrives in poor soil. It suckers freely, so you can start with just one or two plants sourced from a reliable supplier. There are several aloes around; not all of them are edible or have the medicinal properties attributed to Aloe vera. The jelly-like, colorless pulp of mature leaves can be applied to minor cuts and burns and to dry, inflamed, or damaged skin due to eczema or other skin conditions. It is an excellent moisturizer with anti-inflammatory and mild antimicrobial effect. The leaf pulp can be eaten too. Regular use can prevent constipation and relieve other digestive problems, including ulcerative colitis and irritable bowel syndrome. This natural hybrid of spearmint and watermint is widely use in dental hygiene products, mouth fresheners, soothing balms and candies. Quite possibly the oldest medicinal herb to be used by man, there’s evidence that peppermint has been used for thousands of years. 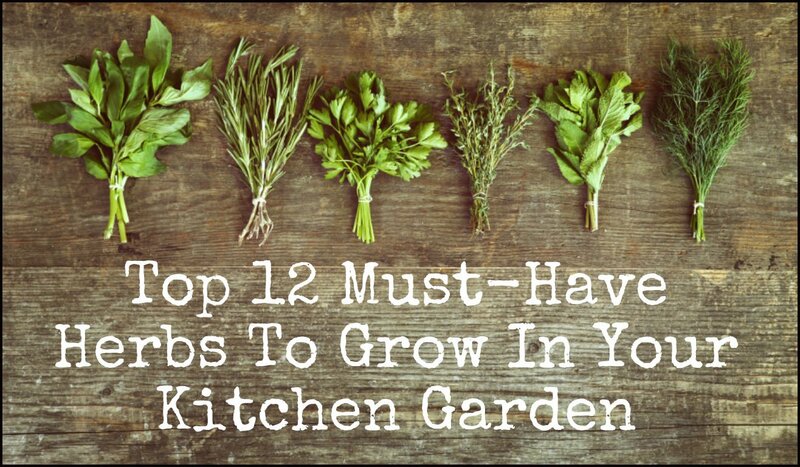 Grow it in a part of the garden where the plants are assured of water and give it plenty of room to spread. Sip a tea made of a handful of peppermint leaves to calm stomach upsets and relieve pain and discomfort due to gas. Carry a few sprigs of peppermint when you travel. Sniffing on it every now and then will prevent nausea and vomiting associated with motion sickness. The active ingredient menthol found in abundance in peppermint, as well as in many other aromatic members of the mint family, has a cooling effect on the skin. Make a poultice of the leaves and apply it on the skin to relieve itching and burning resulting from skin allergies and inflammatory conditions. It has mild analgesic action, and relieves headaches and muscle cramps. This perennial herb with tiny, aromatic leaves is a great addition to any medicinal herb collection. Thyme is easy to grow in a sunny location and thrives between rocks and boulders, braving summer heat and winter freezes. The characteristic scent of thyme comes from the volatile oil containing thymol, which gets released at the slightest touch. Many herbs contain this powerful antiseptic phenolic compound, but thyme oil has more than 50% thymol content. Use an infusion of thyme as a gargle to get rid of bad breath and mouth sores. It can help with tonsillitis and laryngitis. Crushed fresh thyme applied on the neck is said to reduce throat infections. Inhaling the vapors reduces nervous exhaustion. The most important use of thyme is to treat respiratory tract infections. Thyme extract is taken orally to relieve bronchitis, chest congestion, asthma, and whooping cough. A teaspoonful of thyme extract mixed with equal amount of honey can be given in divided doses to young children. Rosemary is more of a woody shrub, but it deserves a place in every herb garden for its medicinal and culinary uses. Although it doesn’t look anything like other mint plants, it belongs to the same plant family. From the suffix officinalis, it is clear that rosemary has been counted as a medicinal plant from long ago, but in our medicinal garden, it is to be used for general health and wellbeing, rather than for specific problems. Long known as the herb of remembrance, the claim that rosemary enhances memory has had a boost from recent research findings. The carnosic acid in the herb has been shown to prevent brain damage and neurodegeneration of the hippocampus induced by beta-amyloid peptides. These peptides are implicated in Alzheimer’s disease. In separate studies Rosemary oil has been found to improve cognitive function and reduce brain aging. Its potential in cancer treatment also has been promising. Grow Rosemary in a pot or plant several in a line to form an aromatic hedge in the garden. Use the leaves regularly in cooking and herbal teas to derive maximum benefit. No medicine chest is complete without chamomile flower heads. They can be made into a soothing tea that can calm a troubled mind as well as a colicky baby. Its widespread use across many cultures and for many ailments is proof enough for its safety and effectiveness. There’s more than one type of chamomile, but the one we want is the Roman chamomile Chamaemelum nobile. This hairy plant has finely divided leaves and white daisy-like flowers with bright yellow centers, but that description doesn’t help much in telling it apart from German chamomile. That’s why scientific names are important for identifying medicinal plants. When you grow chamomile, you can make a tea from fresh flower heads or dry them for later use. Take a handful of flowers in a bowl and pour boiling hot water over them. Allow to steep for 15-20 minutes and drain. Have a cup of this soothing brew when you feel anxious or unsettled, or before bedtime in case you have difficulty falling asleep. A tablespoonful or two should calm babies and young children having colicky pain or stomach upsets. Use it as gargle to relieve mouth ulcers. Bathe the skin affected with eczema several times a day with cooled chamomile tea. Pot marigold with its yellow and orange flowers is a delightful addition to any garden. Not very finicky about soil fertility or pH, it can be grown easily from seeds and can be treated as an annual or perennial depending on your growing zone. The edible flowers can be used to treat almost any problem related to skin. Use a poultice of the petals to relieve sunburn and to clear up acne and blemishes on the skin. Use it as an antiseptic on cuts and bruises. It stops bleeding and reduces inflammation when applied on nicks and cuts. Many skin ointments contain pot marigold extract as the active ingredient. A tea made of the flowers is taken to get relief from varicose veins and to ease digestive problems. Plants of the aalvia family have a long history of being used medicinally, as is evident from their family name. Salvia officinalis is the common sage that has slightly thick and elongated grey green leaves used in cooking, and for good reason. It can improve appetite and prevent flatulence. This plant has a hormone regulatory effect on women. A tea of the leaves can relieve dysmenorrhea and symptoms associated with premenstrual syndrome and menopause. Inhaling an infusion of sage gives relief to respiratory problems, including asthma. It reduces excessive sweating and salivation too. Sage is neuroprotective, and is used to treat Alzheimer’s, dementia, and depression. This herb is worth growing for the delightful fragrance of its tiny flowers alone, but it can be used therapeutically as a pick-me-up. Inhaling the fragrance of the flowers is sufficient to get relief from headache and depression. The essential oil extracted from the flowers has an important place in aromatherapy. Add a handful of lavender flowers to the bathwater or place pouches of dried flowers under the pillow to get relaxed sleep. Make the best of the antiseptic and antibacterial properties of lavender by infusing the flowers in water and using it to wash face and damaged skin. It can clear acne and accelerate wound healing. The purple coneflower Echinacea is a stalwart in the native North American herbal medicine. It has an immunostimulatory action that enables the body to fight bacterial and viral infections. Commercial Echinacea products are in great demand during the flu season. Regular users swear by their efficacy as vehemently as conventional medical practitioners try to discredit them. Native Americans used the roots to treat wounds, insect bites, burns, and even snake bites. Now flower buds are more commonly used as a cold and flu remedy. Of the many different purple coneflowers native to North America, E. purpurea and E. angustifolia are the two most favored species. You can grow either of them in a sunny location in your garden. These biennial plants flower only in the second season. Use fresh flower buds to make an infusion to prevent and treat cold and flu. A tincture made with alcohol is considered more potent. It involves steeping the flower buds or roots, or both, in pure, concentrated alcohol for 4-6 weeks, and then filtering out the liquid. This is another vigorously growing herbaceous plant that has a weed status today in most places. However, the roots and leaves of comfrey are traditionally used to treat ligament injuries and broken bones, earning it common names like boneset and knit bone. Other uses of the leaf and root poultice include relief from arthritic pain and varicose vein ulcers. Although comfrey extract has a history of being used internally to treat excess menstrual flow, gastrointestinal problems and stomach ulcers, only topical application is recommended today. The allantoin in the plant can aid tissue repair and regeneration. Gargling with an infusion of comfrey leaves helps relieve sore throat and gum disease. This plant is considered a weed, but it has several medicinal properties including antimicrobial, anti-inflammatory and wound-healing ability. The fresh leaves are mashed and applied as a poultice to wounds, insect bites and skin sores for pain relief and to promote healing. The allantoin in the plant is a cell growth promoter. Another bioactive compound aucubin is a mild antibiotic, and the high mucilage content soothes the injured skin and relieves pain. A tea brewed from fresh leaves is astringent, and helps control diarrhea. The leaves are eaten by people suffering from gout since aucubin increases uric acid excretion by the kidneys. This tall plant growing up to 2 feet high stands out anywhere it grows. But if you offer it a place in your medicinal garden, you can harvest the leaves and the flowers. They have been used for over 2,000 years to treat respiratory tract problems. Mullein tea made with leaves or flowers is an excellent expectorant. It is used to relieve cough associated with bronchitis and consumption. The mucilage in the plant helps loosen the phlegm and the saponins help flush them out. When the infection has affected the lungs, mullein leaves are rolled up and smoked to relieve chest congestion. The roots are used to treat skin infections, including warts and athlete’s foot. Powder the dried roots and apply it on the affected area several times a day. Mullein flower tea is also effective in treating warts. Note: All herbs should be used with caution because they contain powerful bioactive compounds. Start with small quantities initially to test your tolerance. Watch out for allergic reactions. People who have ragweed allergy may have similar reactions to medicinal plants belonging to that family. When you feel good with a recommended amount of a given herb, it doesn’t necessarily mean that you will feel better with larger quantities or a stronger brew. To derive maximum benefit out of the herbs you grow, try to learn as much about them as you can. Rosemary Gladstar’s Medicinal Herbs Book is a great place to start.